Arab League spokesman Mahmoud Afifi denounced on Saturday Turkish Foreign Minister Mevlut Cavusoglu’s recent statements about the US relocating its embassy in Israel to Jerusalem. The minister had stated from Istanbul that there was a “decline and hesitation” within the Muslim world, especially within the Arab League, regarding the decision to relocate the US Embassy to occupied Jerusalem. “We need to take a common stance against this wrong decision. We are seeing some hesitance within the Arab League recently, which is a mistake,” Cavusoglu stated. The statements once again raise real questions about Turkey’s real stance on the regional Arab system, which the Arab League reflects, especially in wake of Turkey’s intervention in Arab territories, which was recently condemned by the Arab Summit in Dhahran, he said. 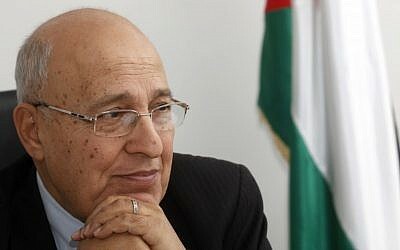 “Those issuing belligerent statements on the Palestinian cause should have first followed up the matters in a more balanced way to recognize the intense efforts made by the Arab League and its member states,” Afifi added. He added that these efforts have been ongoing since the extraordinary ministerial meeting of the Council of the Arab League, which was held in December in wake of the US administration’s announcement that it was relocating its embassy. Cavusoglu had criticized on Saturday the US move on Jerusalem, saying it was wrong and that Ankara will continue to defend the Palestinian cause. 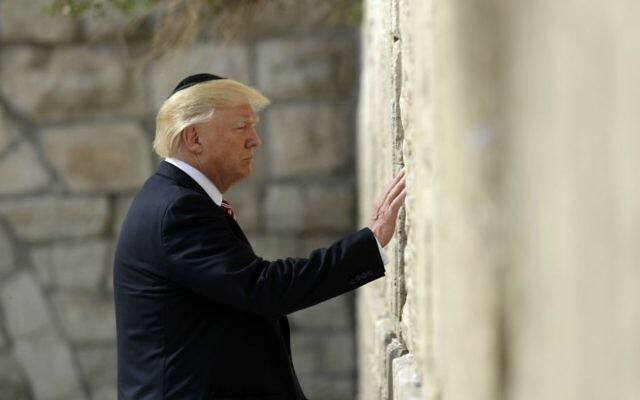 So, tomorrow December the 6th President Trump is supposed to say whether or not he is going to officially recognize Jerusalem as the Capital of Israel and if the U.S. is going to move our Embassy from Tel Aviv to Jerusalem. So, this article this evening is simply my thoughts on this issue, I am not consulting other writers nor any pre-written documents. I am only going by articles that I have already read during my lifetime, up to this point in time. I know that no matter what I say, I am going to get a lot of people angry simply because I don’t agree with them. Today the President of Turkey, Mr. Erdogan threatened to cut relations with Israel if Mr. Trump goes ahead with the Jerusalem Capital issue. To me, this is a fraudulent concept, if Mr. Erdogan wants to cut relations with any country it should be the U.S. not Israel. 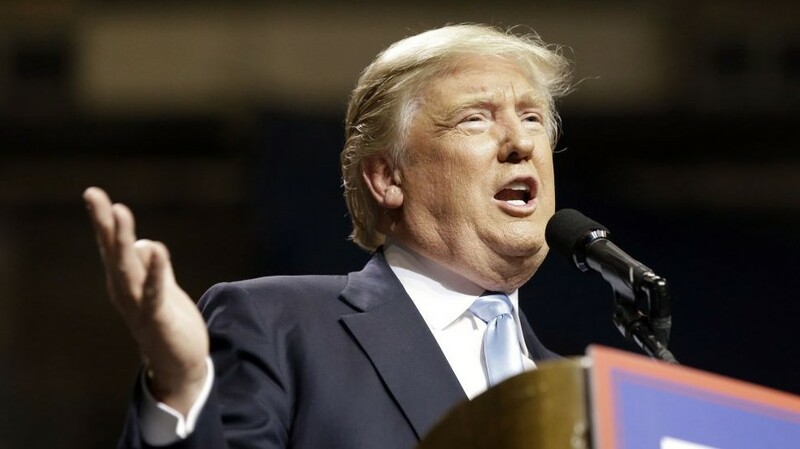 Israel cannot control what comes out of the mouth of Donald Trump, no one can. It is said that the whole of the ‘Arab League’ will cause many deaths if Mr. Trump goes through with this announcement. These type of threats help show the ‘low road’ of the Islamic leaders, not their intelligence. It is also because of threats like this that would cause a narcissists like Trump to not bow down to such a threat because it would/will make him look weak and in this case, that is actually true. Now, for my personal thoughts on how to make the Jerusalem Capital issue work for all sides, yet at the same time not make any side totally happy. Isn’t that pretty much what the definition of what a compromise is? My idea is for Jerusalem to be declared the Capital of Palestine, all of Palestine. This would encompass all of Palestine and all the people of Palestine, Israeli Jews, Israeli Arabs, the people of Gaza and of the West Bank. This way it is everyone’s Capital. All people of this region, no matter if they are Israeli Jews or residents of the ‘so called’ Palestinians of the West Bank can prove that they are capable of recognizing each others right to exist, in peace with each other. Because of the current security issues raised by terrorist groups like Hamas, Hezbollah, ISIS and the PLO plus the fact that Jerusalem was the Capital of Israel at least 1,600 years before Mohammad was even born, Israel would have to have control of the security issues within all of the city. Maybe in time these folks who are hell-bent on violence will mature into civilized human beings and the ‘walls’ of security can be let down. Israel on their side would need to allow the Palestinian people to have such things as their Embassy in Eastern Jerusalem once there is a two State agreement in place. All sides of this issue should be allowed to call Jerusalem their Capital. Jerusalem is the ‘City of God’ and it should be able to be an ‘International’ City. Yet the only way for this to come about is if groups like Hamas who refuse the existence of the State of Israel to lay down all of their weapons. Israel can not allow its citizens to continue to be fodder to murderers, so until all Islamic groups in the Palestine region agree to commit no violence, there can not be a safe and secure two State compromise. 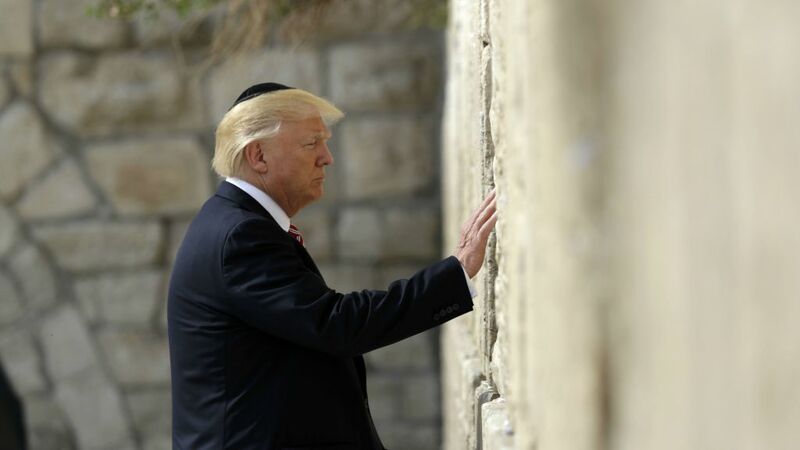 Another reality is that even though Mr. Trump seems to think that he decides if Jerusalem is the Capital of Israel, he actually has no say so in the matter. Jerusalem is and has been the Capital of the people of Israel for more than 2,600 years. It is God who decided that Jerusalem is His City. The world can call Tel Aviv Israels Capital, but it has never been Israels Capital, Jerusalem is. But there is no reason that all of the people of Palestine can not call Jerusalem their Capital as it is the Capital of all of Palestine. 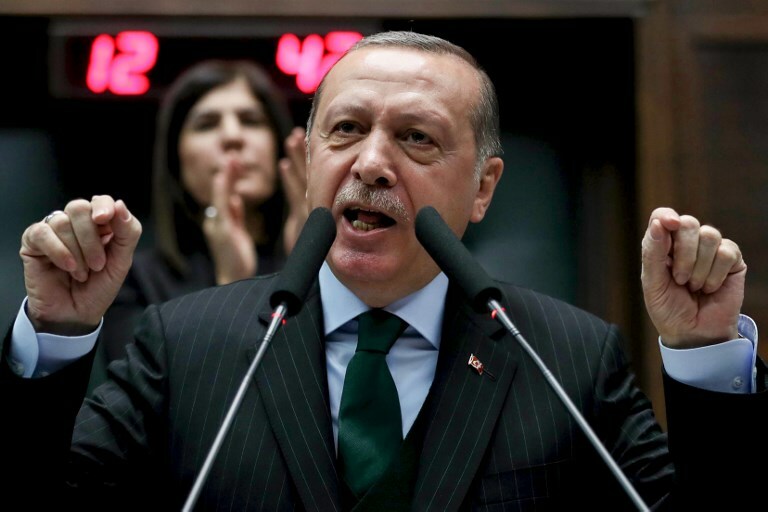 The status of Jerusalem is a “red line” for Muslims and changing it could prompt Turkey to cut its ties with Israel, Turkish President Recep Tayyip Erdogan warned Tuesday, as US President Donald Trump reportedly geared up to recognize the city as the Jewish state’s capital. Officials in Jerusalem rejected Erdogan’s threat. Meanwhile, a senior Palestinian official warned that recognizing Jerusalem as Israel’s capital would spell the end of Trump’s nascent Israeli-Palestinian peace push. “That totally destroys any chance that he will play a role as an honest broker,” Nabil Shaath, an adviser to Palestinian Authority President Mahmoud Abbas, told journalists on Tuesday. “That takes away… the deal of the century,” he added, referring to Trump’s pledge to clinch the long-elusive peace deal. Arab League chief Ahmed Abul Gheit also warned of the “danger” of the United States recognizing Jerusalem as Israel’s capital or relocating its embassy there, calling on Washington to reconsider. Saudi Arabia, a major partner to the American efforts to revive the peace process, added its voice, expressing “grave and deep concern” over the possible US plans. If Trump decides to recognize Jerusalem as Israel’s capital it would reverse years of US policy, even if he did not move the US embassy. “Saudi Arabia (expresses) grave and deep concern over reports that the US administration intends to recognize Jerusalem as the capital of Israel, and to relocate its embassy to Jerusalem,” the official Saudi Press Agency said, citing a foreign ministry source. The European Union also noted possible “serious repercussions” of the move. “Since early this year, the European Union was clear in its expectation that there can be reflection on the consequences that any decision or unilateral action affecting Jerusalem’s status could have,” EU diplomatic chief Federica Mogherini’s office said in a statement. Trump is expected to make an announcement on Jerusalem in a major policy speech Wednesday. The mercurial president has yet to make his final decision, officials said, but is expected to stop short of moving the embassy to Jerusalem outright, a central campaign pledge that has been postponed once already by the new administration. Facing dark warnings of a historic misstep and widespread unrest, Trump on Monday delayed a decision on whether to move the US embassy to Jerusalem. The White House said the president would miss a deadline on the decision, after a frantic 48 hours of public warnings from allies and private phone calls between world leaders. Israel gained control of East Jerusalem during the Six Day War in 1967 and extended its sovereignty there in 1980, an effective annexation that remains unrecognized by the international community. Palestinians claim East Jerusalem as the capital of their future state. 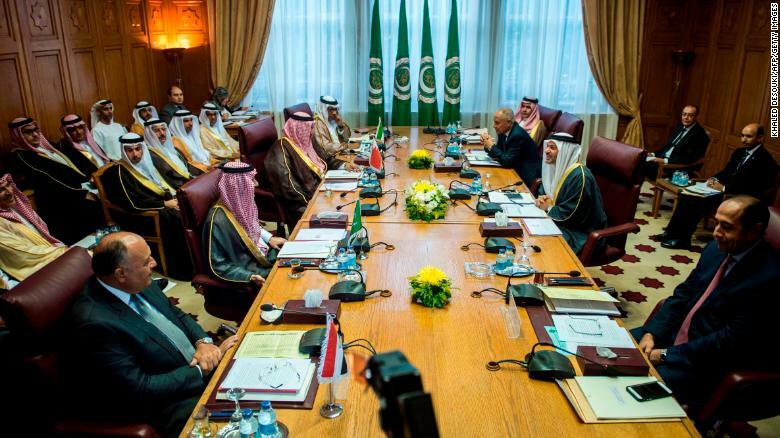 Arab ministers attend a meeting at the Arab League headquarters in Cairo on Sunday. This latest flare-up between Saudi Arabia and Iran was sparked by a November 4 incident in which Iranian-supported Houthi rebels in Yemen fired a ballistic missile at Riyadh’s international airport. Saudi Arabia subsequently accused Hezbollah and Iran of being behind the attack. Both have denied any involvement in the incident. 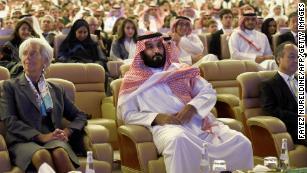 Relations between Saudi Arabia and Iran have been rocky since the 1979 Iranian revolution. 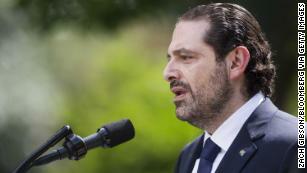 Hariri announced his resignation as prime minister of Lebanon on November 4 from Riyadh on the Saudi-funded Al-Arabiya news network, accusing Iran of destabilizing Lebanon and the region. Many Lebanese, including President Michel Aoun and Hezbollah Secretary-General Hassan Nasrallah, have said they believe Hariri resigned under Saudi pressure. Hariri flew to Paris Saturday and vowed to return to Lebanon to attend celebrations marking the country’s independence day on November 22. It’s not clear whether Sunday’s Arab League meeting will translate into concrete action. The League is notorious for passing resolutions and issuing communiques which are rarely acted upon. It is, however, the first time the Arab League has taken such a strong public stand against Hezbollah. While the Arab foreign ministers deliberated in Cairo, Iran’s growing power across the region was on display in Syria. On Sunday evening Hezbollah’s media unit posted on YouTube a video of Qassem Suleimani, the powerful head of Iran’s Quds Force, meeting with what appeared to be Iraqi, Lebanese and Syrian fighters in the newly liberated Syrian town of Albu Kamal. The town, on the Iraqi-Syrian border, was the last significant population center in Syria to be held by ISIS.